Hello everyone! It is Crystal here & thanks for stopping by today for my Jaded Blossom Design Team day! 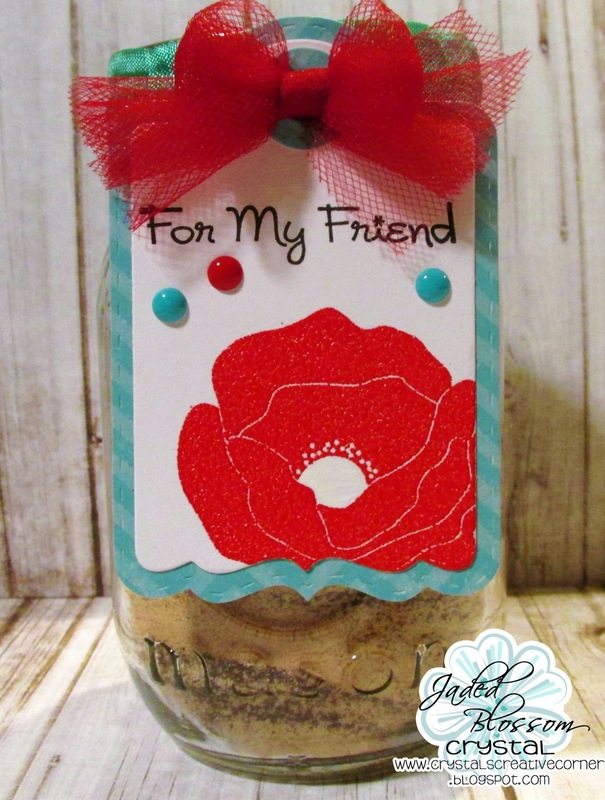 Today I have made a treat tag that I have placed on a Mason jar full of my MeMe's homemade tea. Growing up my closest friends & I would gather around my MeMe's table and enjoy some of her homemade tea. 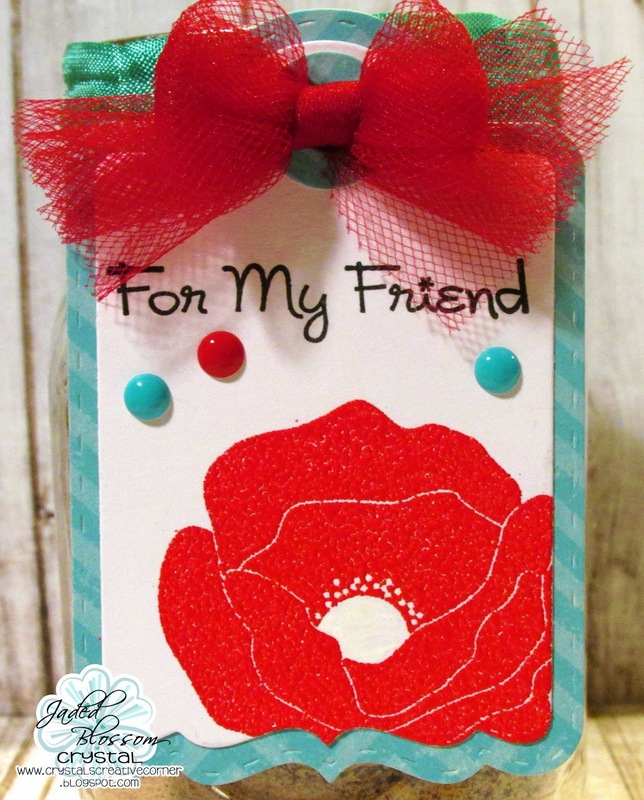 I make it every fall for my family and this year a dear friend of mine asked if she could have some too <3 so I made this tag for her jar of "MeMe's Tea"
I embossed the poppy stamp and added some Sprinkles to the tag. I wrapped the lid with some Rumple Ribbon and added a tulle bow.